Hey lovelies! Please excuse me for not uploading a post for the past 2 weeks, but since i was out of town, i thought i'd take a little break in order to clear my mind, relax, and of course, recharge my batteries! And now, i am back with a brand new post about J.Crew's Autumn/Winter 2015-16 collection. A lot of people tend to believe that winter is all about dark, plain -and sometimes boring- colours, like black and grey, but this collection manages to prove the exact opposite actually. It's fun, fresh and super colourful, but above all, truly wearable! It includes pieces that can be easily worn by any woman who would like to add that extra "something" to her fall/winter style. So, wanna see exactly what i am talking about? Then check out all of the pictures down below! Miroslava Duma's Best Outfits Ever! If you are like me, and you absolutely love checking out street style pictures from every Fashion Week, then there is a big chance you are familiar with Miroslava Duma. Miroslava was born in Russia in 1985 and she is the founder of Buro 24/7, plus, she used to be an editor at the Russian Version of Harper's Bazaar. Her style is totally unique and gorgeous, full of fun prints and vibrant colours. And even though she is a really petite woman, she can actually pull off eveything, seriously everything. She really is amazing! So, for today's post i am sharing with all of you her best outfits ever! Also, don't forget to check out "Ulyana Sergeenko's Best Outfits Ever" post over here. As some of you might remember, two years ago i uploaded a post about October being National Breast Cancer Awareness Month (NBCAM). And this year, i thought that it would be a truly great idea to do so again, since i really want to encourage every woman out there to go ahead and have a check-up, since detecting this disease in it's early stages can truly help you deal with it. And since pink is the colour that is used to raise awareness for breast cancer, here are some pretty cool pink pieces that you can wear! 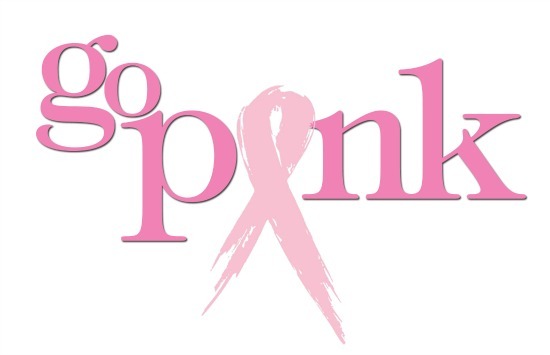 So, don't forget to get regular check-ups, and of course... to go pink in October!